Will You Celebrate Mother's Day with a Social Blackout? 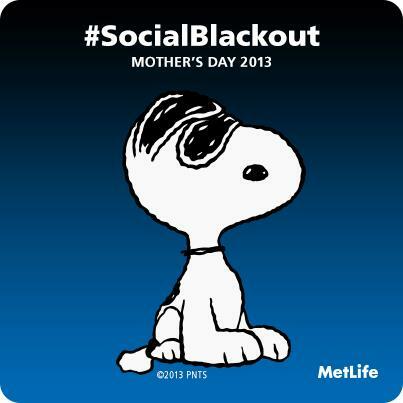 Will You Celebrate Mother’s Day with a Social Blackout? They boyfriend likes to make fun of me about my almost constantly being glued to my phone, laptop, tablet, etc. even after 5 PM and calls me an addict. This is, of course, when he is quite attached to his phone as well and I’ll admit I do give him some grief about it too. ;) While I will admit I sometimes sneak in a couple games of Candy Crush Saga while we’re watching TV, it’s hard as a blogger to stay disconnected very long since all of my work is online and it’s a very fast-paced world. Are you the same way? Will You Celebrate Mother’s Day with a Social Blackout? Disclosure: I participated in a campaign on behalf of Mom Central Consulting for MetLife. I received a promotional item as a thank you for participating. If so, what are your plans for this Mother’s Day? Neither the boyfriend nor myself have mom in our lives anymore so we’ll likely be lounging around at home enjoying each other’s company. I’m not sure I’ll be able to pry the phone out of the boyfriend’s hand, but I’ll give it a go! Does social media ever get in the way of you enjoying time with your family whether it’s them or you not being able to resist a peek? I know that my constantly trying to be plugged in annoys the boyfriend or he likely wouldn’t ever mention it. On the flip side, it does also annoy me when I’m trying to spend some one on one time with him at home whether it’s watching a movie or playing a game or even out in a restaurant and he pulls out the phone. It is certainly frustrating to try to have a conversation with someone when they are looking at a screen instead of you. He also ends up doing a lot more checking in at work that he likely otherwise wouldn’t do if not for today’s technology. So, I think an unplugged day will be a great way for us to celebrate Mother’s Day! We do try to unplug for a day at least every couple weeks and on special occasions. It definitely helps us be closer and more connected. « Is a Clutter Free Home Really Possible? Rubbermaid® All AccessTM Organizers Say Yes!